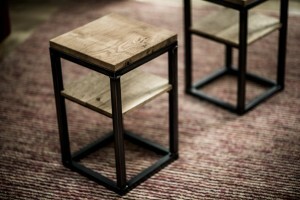 We spotted some stools we really liked the look of on Rob’s website and got in contact. Rob was quick to respond, helpful and friendly. He came to measure us up to make sure the stools were as comfortable as possible for us, which we loved. 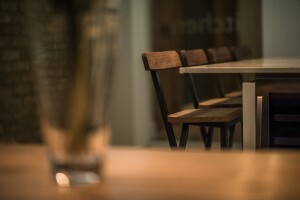 The stools have just been delivered and they look absolutely fantastic and are really comfortable – we love them!! 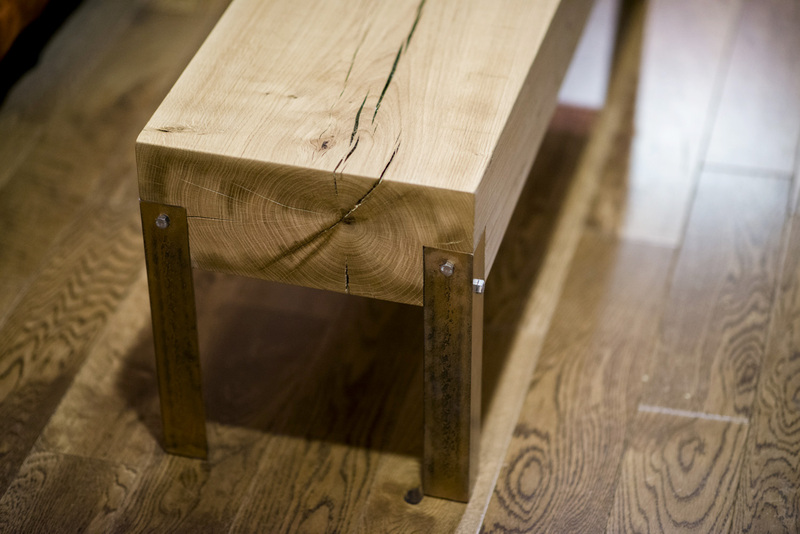 We would definitely recommend One Off Oak and have no doubt that we will be coming back to Rob in the future for more beautiful furniture! Bespoke stools with a custom fitted foot rest and back for each person. Rob’s craftsmanship is a testament to the care and attentiveness that he gives each client and product. The table he made for me is unique, fits the space in my home perfectly and will last a lifetime. 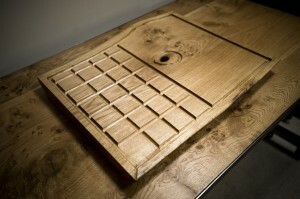 I am continually impressed and pleased by the design and quality of Rob’s craftsmanship and standard of service. From communicating the drawing to finished furniture items Rob has an ability to be friendly informative and very conscientious on style. I highly recommend his work, he’s a real master of carpentry and I will (and have) involved him in many residential projects and will continue to do so. We LOVE the desks Rob made for our studio. 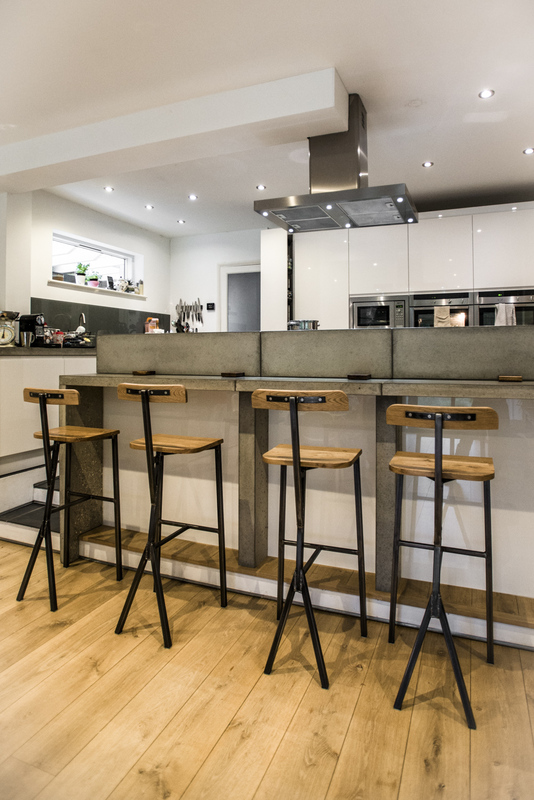 They look and feel great and with their steel legs and warm, natural wooden tops they combine a homely kitchen table feel with industrial style. Everyone who comes visits comments on how gorgeous they are. And we recommend them to everyone. 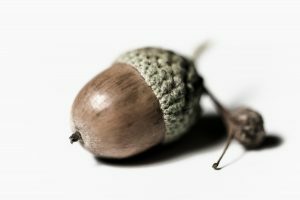 ‘One Off Oak’ came up on an online search. 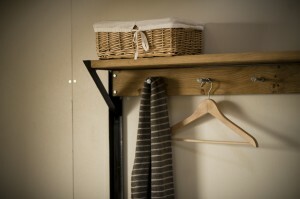 So far, Rob’s made us two bespoke units: a hallway clothes rack and a coffee table. Must say we’re really pleased with them both. We asked Rob to work around or modify existing designs from the website gallery – a process made all the easier via email. The end product was precisely what we wanted. That style works well in our home. There’s something about oak and steel – even more so in combination – that feels solid, substantial and enduring. 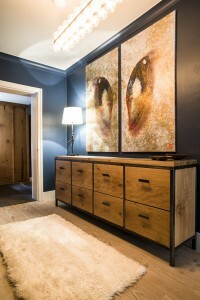 Rob’s work is exactly that: quality, precision and craftsmanship. 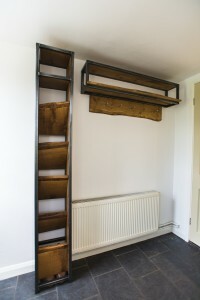 Rob clearly has an eye for the aesthetic and incorporates this into designs that are safe and practical. Having spent a couple of years looking for something just right for our home we decided enough time wasted. I’d picked up flyer from Rob’s stall in a small market in Cambridge ages ago and love the style of his work. Rob took time to understand our ideas and showed his commitment to designing to meet our needs by visiting our home and seeing everything in action. After sharing his his first designs, Rob encouraged our feedback and suggestions – it really feels lovely to have had input into the design. 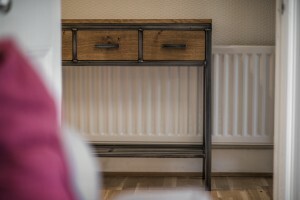 As for the furniture, well all the pieces are truly unique and absolutely beautiful and really work well with the original features of our victorian house. 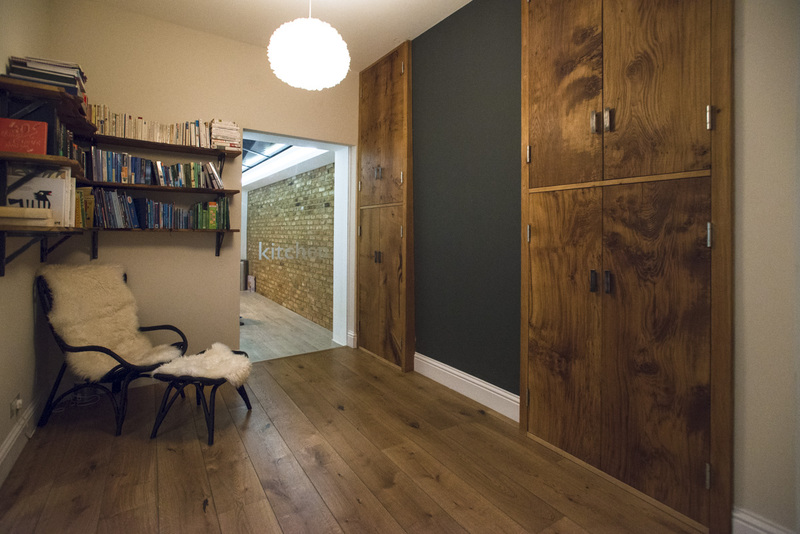 From Rob’s first visit to installation he completely understood our ideas, brought his own and delivered beyond expectation through his craftsmanship, professionalism and generally being an all round great guy. Here’s to many more pieces in the future! We had just moved into our house and needed an attractive yet functional set of cupboards in our hallway. Someone recommended I speak to Rob and I knew instantly from meeting him and looking at pictures of his craftsmanship that I wanted to work with him. He was unbelievably detailed about the process. The space was around a chimney breast and in typical Victorian house fashion – not at all straight and a bit awkward to fit. Rob was very thoughtful about how he was going to manage this and came up with a clever solution. He sent mock up drawings of how everything would look and described in detail how he was going to make it work. Once we agreed on everything, he dropped the most beautiful pieces of wood off at the house where he left them to acclimatise for 4 weeks. 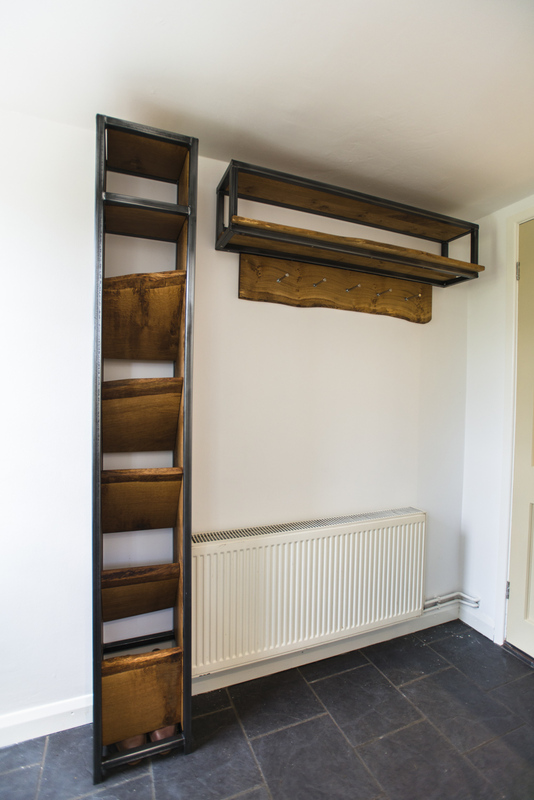 This, he assured me, was so that the wood adjusted to the temperature and humidity of the house and would ultimately minimise if not eliminate further movement once the cupboards had been fitted. At that point I knew this man was serious about his oak 🙂 the fitting of the cupboards took a few days as Rob poured over the detail and made sure everything was totally perfect. The cupboards are a total delight to look at and I constantly have people comment on them when they come round. Rob is a fabulous person and was such a pleasure to have in the house. I could not give him a higher recommendation. It was my best friend’s wedding and I wanted something special that she and her husband-to-be would cherish for a long time. Because of our insatiable love of food, I wanted it to be themed as such and so I homed in on the solid oak carving board I had seen on the website and immediately called to chat about it. Rob was totally professional yet laid back and so easy to talk to about the quirks I wanted adding. He was able to send me a mock-up of the carving design via email, he sent me progress updates throughout and then we agreed on a completion date, on which Rob kindly dropped the finished piece to my home – a lovely touch. The beautifully impressive (and rather heavy!) carving board is everything I was looking for and the fact that it is unique, a one-off piece, only adds to its charm. We searched high and low for a unique coffee table that would fit our challenging space at our studios on The South Bank. Given it was to be a centre piece in our reception area it had to be complimentary our existing design and be special. Rob at One Of Oak totally understood our brief, and tailor made our unique coffee table that has daily praise from our visitors. Needless to say we are delighted with Rob’s work, and at a fair price too. Jason Tomkins, Managing Director, Silverglade Post Production. I’d been searching tirelessly for a coat rack to go in our hallway. We wanted something a bit different, a little bit nostalgic, beautiful but industrial, to sit on and hang things on and something that we’d own for a life time. We searched high and low but found absolutely nothing that came close. I contacted Rob, who knew exactly what I was after and within two weeks, he visited us, measured, discussed the finer details and our stunning piece was installed. Your service was fantastic from start to finish, the care you put into your work is above and beyond. 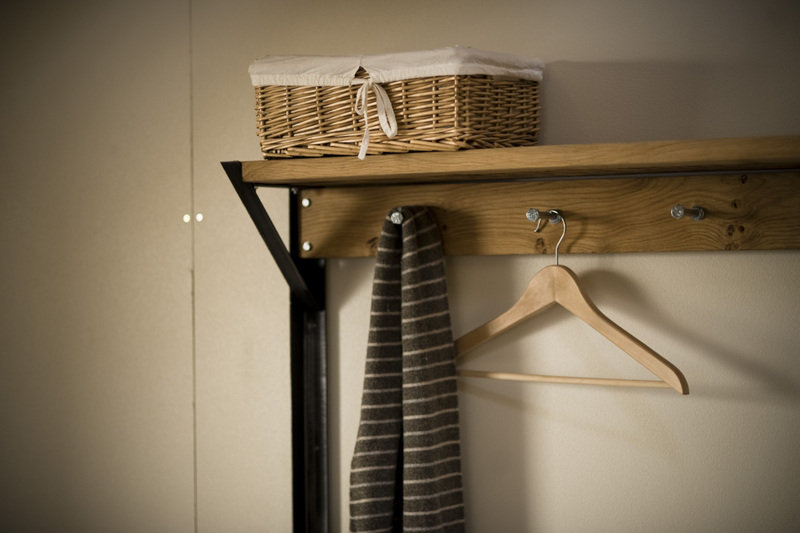 We absolutely love this coat rack, thank you so much. Every visitor has commented that they love it and I know (I did the research) that you wont find anything like this in the shops. I approached One Off Oak last summer for a custom made console table for my boyfriend’s birthday. My boyfriend admires fine wood pieces in non-conventional forms, so the choice to approach One Off Oak was an obvious match given the stunning pieces I had seen produced by them. 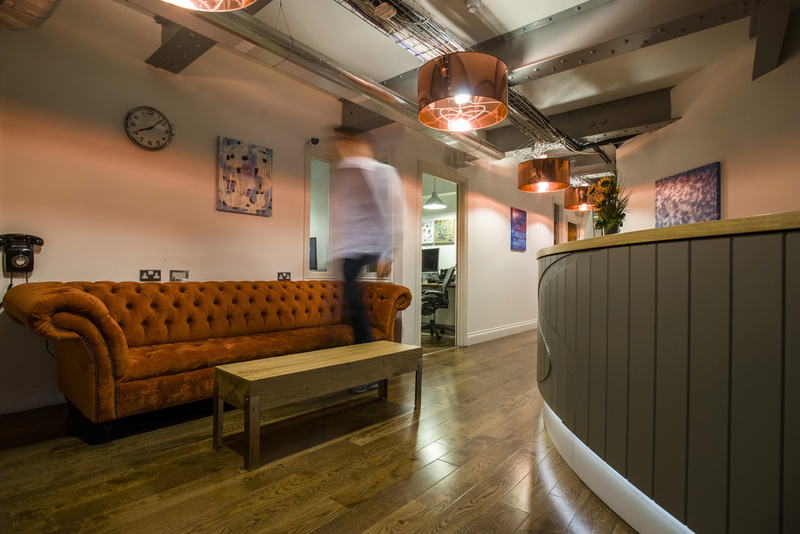 The console was tailor made to fit our hallway, with the craftwork done to schedule. And to top this off, Rob personally delivered the piece with no issues. Very happy with the finished product and service! After seeing Rob’s craftsmanship I asked him to create a bespoke plinth for a bronze cast sculpture for a client in California. The beautifully finished English oak was the perfect match for the bronze and Rob put every care into making it fit perfectly. It was a joy to work with One off Oak and I hope to work together on many projects in the future.